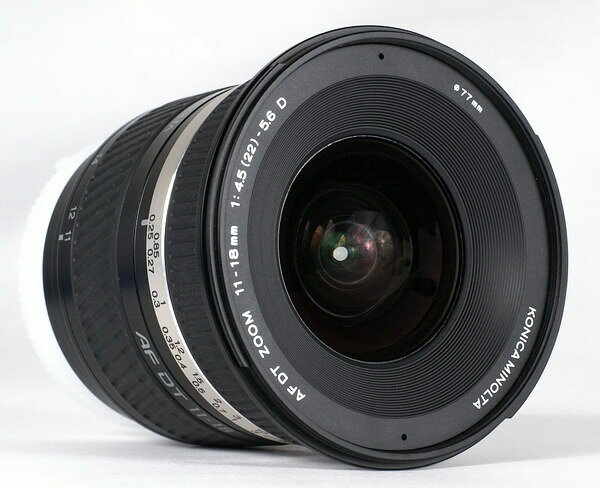 Here's a brief look at the Konica Minolta DT 11-18mm F/4.5-5.6 zoom lens. Scroll down for the review. Good lens, but check out the Sigma 10-20mm too. Side shot drawn in at 11mm. 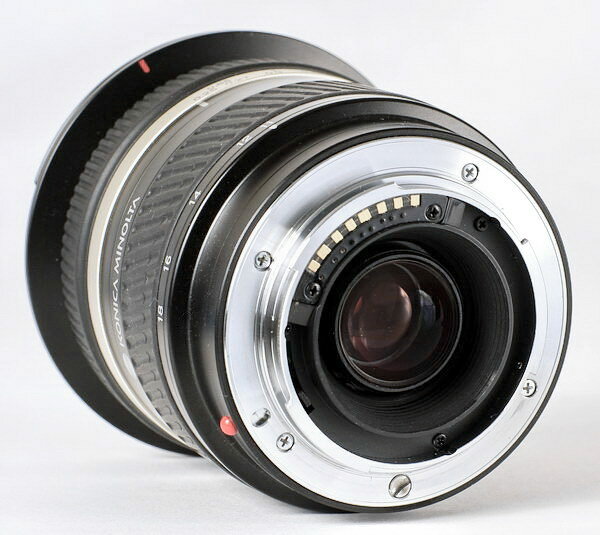 The Konica Minolta DT 11-18mm F/4.5-5.6 zoom lens is optically identical to the Sony DT 11-18mm. I tested both lenses, but decided not to post a seperate review for each one, since they both tested the same, the only difference being the outward appearance, see above. 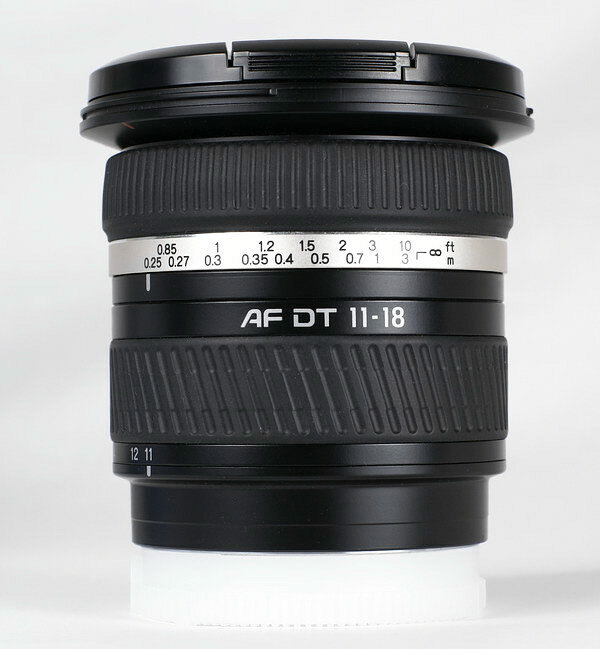 To find out how the Konica Minolta 11-18mm performed, go to the Sony DT 11-18mm F/4.5-5.6 review.